MIUI 9 China Developer ROM is now available for many Xiaomi phones and many users already installed the same on their phone. But the problem with these Chinese MIUI 9RON is that they don’t have the Google Play Store or Google Applications. So the question is how to install Google Play Store on MIUI 9 or Google applications on MIUI 9 Chinese ROMS. MIUI 9 is running on the latest version of Nougat and comes with lots of new features and themes. If you recently flashed the MIUI 9 China Stable or Developer edition on any of your Xiaomi phones and looking for the quick way to install Google services on your phone. Here is the guide which you use on your phone and within a few minutes, you can install all the Google Application on your phone. 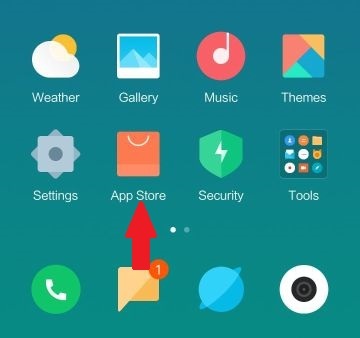 No need to root or install TWRP on your phone, all you have to run the Mi App store application on your phone and from there you can install the latest Google Play store on your MIUI phone. Why we need a Google Play store on Xiaomi phones. If you are a big fan of apps likes youtube, chrome and other then you need to install Google app on your phone. 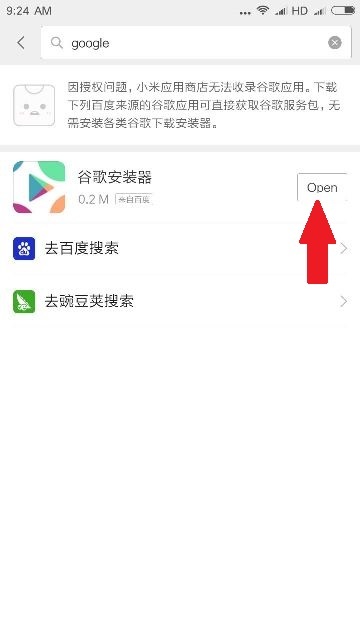 In the Chinese version of MIUI, you can’t find the play store. 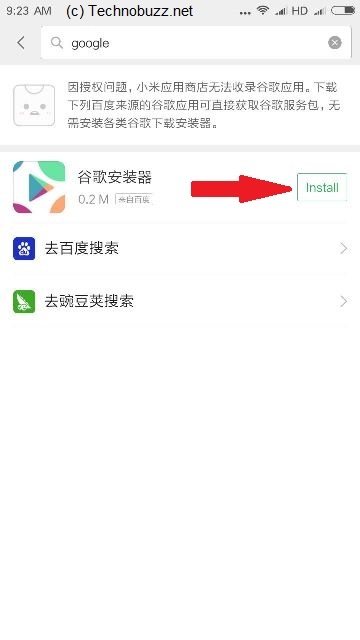 So that means you can not install any application or games from the Google Play Store on your Xiaomi device. This guide will work on any Xaiomi phone which is running on MIUI 9 or MIUI 8. 1. 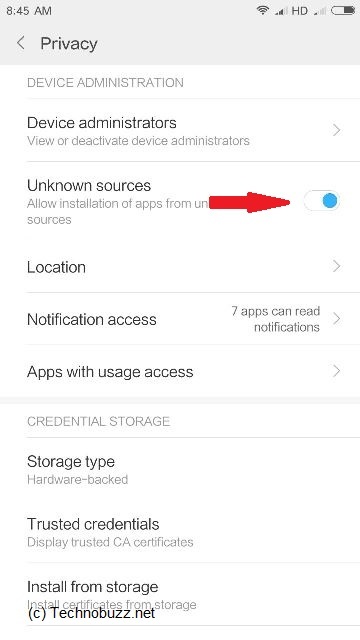 To install the Google applications, first enable the Unknown Sources on your phone. Go to Settings > Additional Settings > Privacy and Enable the option called Unknown Sources. 2. Now open the App Mi App Store application from the home screen of your MIUI 9 phone. 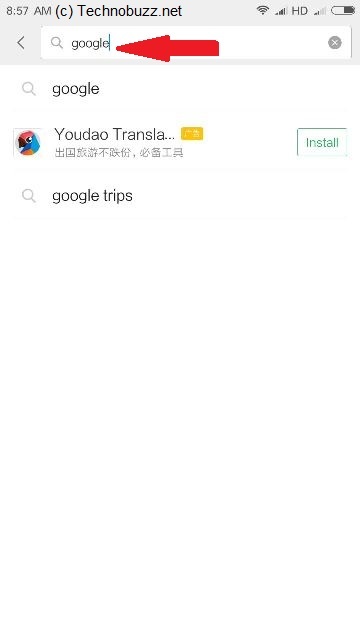 With this application, you can download the Google Installer app on your phone, which allows you setup all the other apps on your phone. 3. Once the app is opened on your phone, go to the search bar on the top and type Google and hit the enter button on your keyboard. 4. Now you will see play store type icon on the screen of the search page. Tap on to install. 5. Once the installation is completed. Tap on the Open to run it on your MIUI 9 phone. 6. Now a new page will open on your phone screen with a BLUE round circle. 7. Tap on that Button and installation process will start on your phone and this will install the 6 files on your phone. 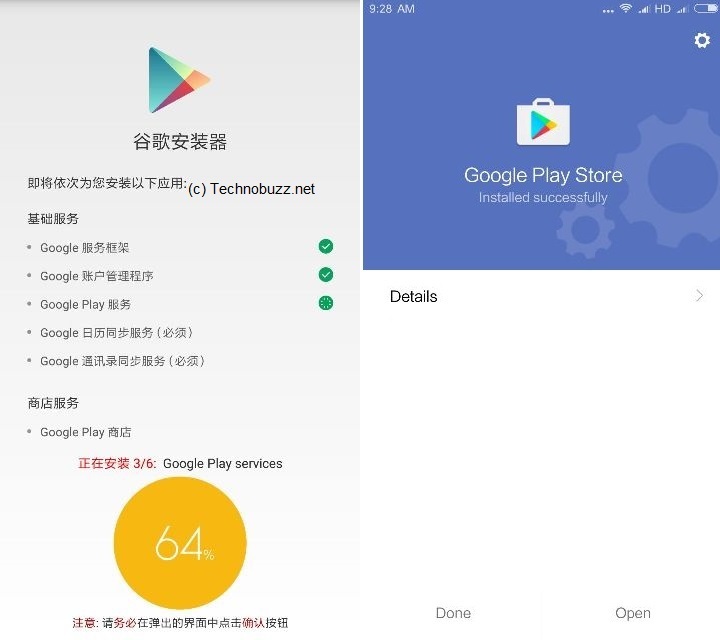 Which includes Google Play services, Google Framerowk, Google Contacts, Google Calendar Sync, Google Contacts sync and the Latest Google Play store. 7. Once all the apps are installed on your phone. You will see Red Circle on the screen with a message Google Play. That means Google Plays store is successfully installed on your phone. Now open the Google play store app on your and install all the games and application which you want to run your Xaiuomi MIUI 9 phone. This one is one of quickest method to Install Google Play Store on MIUI 9 phones. We tested this on our Redmi note 4 running on the latest MIUI 9 China phone and works like a charm. 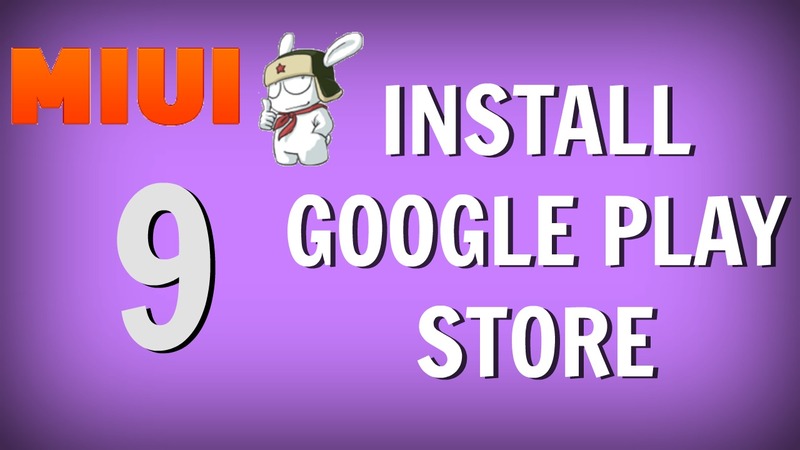 You can also check out the video below in which we show how we easily installed all the Google Apps on our MIUI 9 phone. Hope you guys like this Google Play Store on MIUI 9 guide. In case you are facing some problem from the above mention guide or it’s not working for you. Then you can check our previous guide to install Google apps on Xaiomi phone here. If you have any question or queries on your mind regarding this guide then you can leave the comments below. The problem here is Google installer is no longer appear in Mi App Store. There’s no Mi Market for my location, it would be useful if you provided a link for the apk instead. didn’t work to IMUI 9.6 ??? ?